Kasna garden is located in Temukus village, Karangasem, nearby the great temple of Besakih. The village is located at an altitude of 1.150 meters above sea level, so that the air is cool and tends to be cold, sometimes it fog comes down. Kasna flowers can only grow in Temukus village, they cannot be found anywhere else. 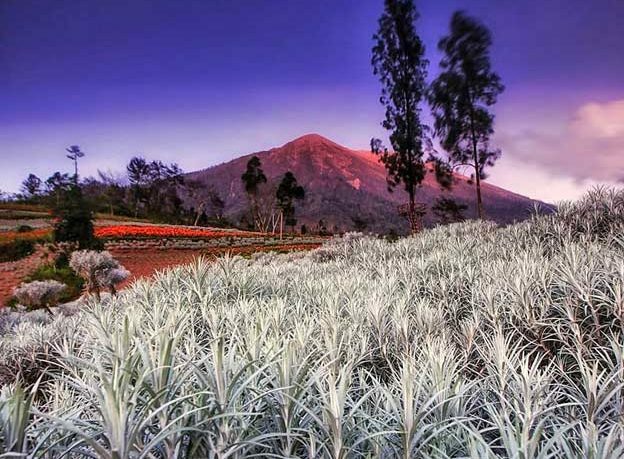 The main factor of this plant thrives due to cold temperatures and climate, no doubt because it is located on a plateau and close to Mount Agung. The flowers are in color of white. Many said this flower garden as Edelweiss garden from Bali. Kasna flowers have a very distinctive aroma whether it’s fresh or dried. The flowers are usually used by local Hindus for praying. Therefore, the local people call the garden as a gift from God. If you want to have a Bali tour and visit the garden, you need to know that not every time you can find the flower has grown large and beautiful, there are times when there are still stages of seeding or planting of the flowers. The best to visit the place is about one or two weeks before Galungan Day when the flowers are blooming. Kasna garden in Temukus village was accidentally introduced by a Mount Agung climber who happened to stop by this village. Fascinated by the natural beauty that was presented, then the mountain climber took a picture and uploaded it on the internet. Then this make the garden is becoming viral with many people visit it to enjoy its beautiful view.